I’m with Jodi . . . this was definitely my favorite Steven King book!! Thank you for being there in the morning. I retired in April, so I am not listening every day, unfortunately. I did catch the Chicken Pot Pie recipe, which I WILL be making! I also love the BOOK CLUB!! 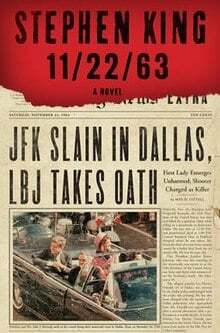 I have read 11/22/63 twice! I read it when it first came out ( I am a huge Kennedy fan) then again before I watched the mini-series. One thing I do is compare books to movies, so I wanted it fresh to see how it was different from the book! I am reading IT next upon your recommendation! Have this one in the queue to read.